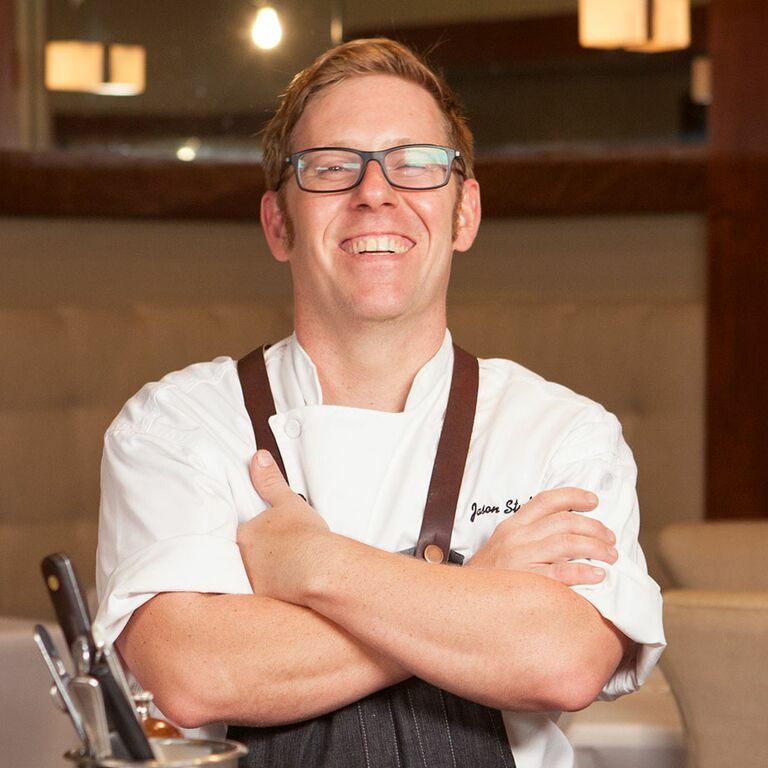 Jason Stude is the chef de cuisine at Second Bar + Kitchen in Austin, Texas. Jason's menus reflect a richness of culinary knowledge, gaining him respect and recognition throughout the culinary world. His ingredient-driven small plate approach, often featuring local artisan specialty products, highlights his attention to complex detail and a value of sustainability. Jason’s culinary career began at 15 years old, working as a busboy at his family’s Italian restaurant, Alesi’s Pizza. While later working as the Private Dining Chef at Bolla in Dallas, Jason earned the National Association of Catering Executives award for Culinary Excellence. Since then, he has worked at many esteemed restaurants throughout Texas. Jason also participated in an Iron Chef battle while working as the executive chef for Austin's historic Driskill Hotel. He returned to Food Network in 2013 to be on an episode of “Chopped”, where he ended the competition with a winning title. This delicate salmon spread has a soft texture, subtle flavors, and pairs perfectly with crackers or toast. These simple sweet-and-sour reductions add bright contrast to round out the flavors of a dish.